Most Rev. Gerard Battersby, Auxiliary Bishop of Detroit, talks about the new pastoral letter “Unleash the Gospel” and the process by which the Archdiocese is equipping its parishioners for missionary discipleship. A reading from Unleash the Gospel. 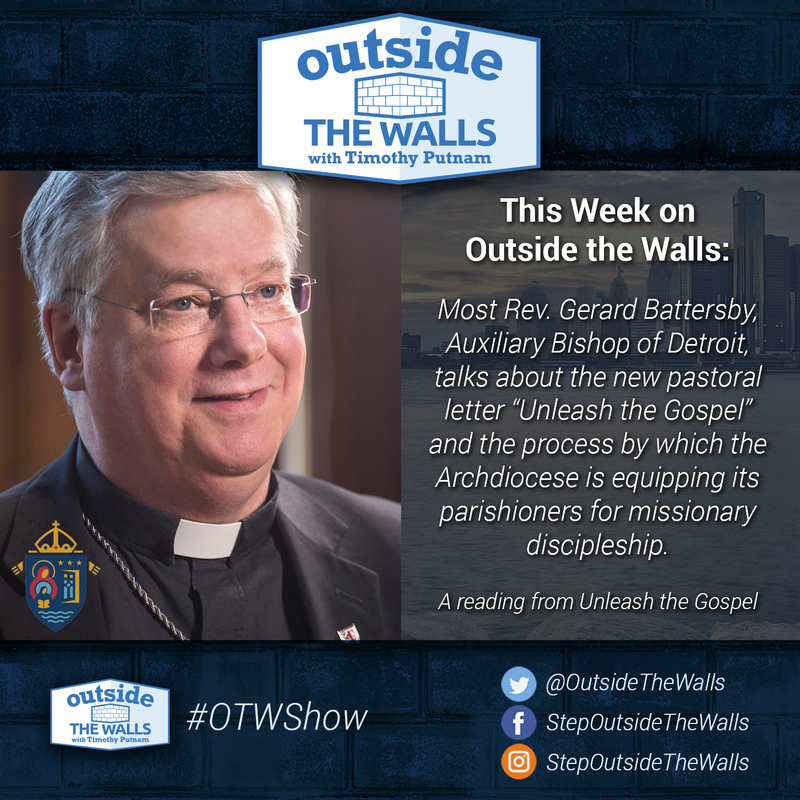 For extra unbroadcast content with Bishop Battersby, become a supporter of the show at www.patreon.com/outsidethewalls.